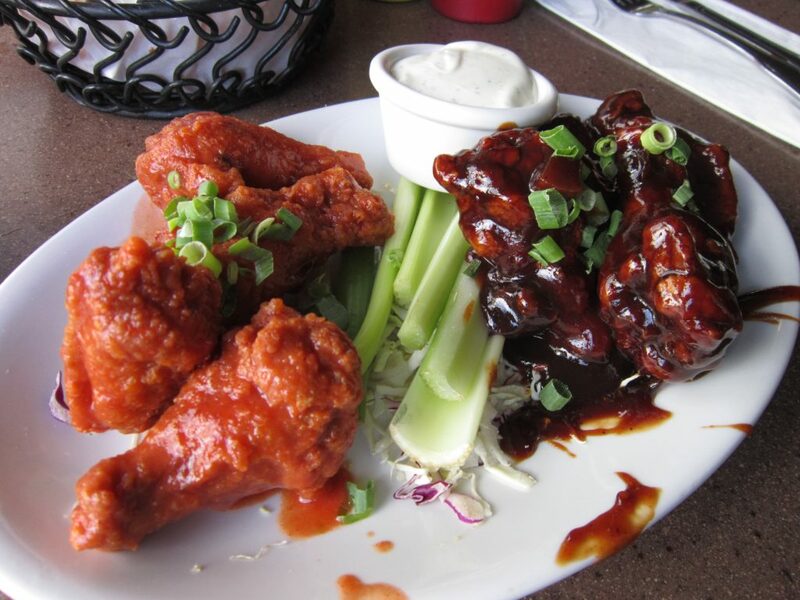 Kalypso offers a Mango BBQ and Spicy Wings platter that gives you four of each flavor to try. Much like most of the West Coast, honey mustard and blue cheese get replaced with Ranch dressing. Don’t ask me why, but they love that stuff. Finish it all off with green onions and celery and you have a completed dish. Mmmmmm. The Spicy wings were the best that I had on the island. It brought the heat and had a very familiar Franks type of flavor. The sauce was nothing new or spectacular, but it was Buffalo which I found to be very difficult to find on the island. I know, I know, you may all be saying “what the hell are you doing getting wings when you can be eating crab, steak, mahi mahi, or crazy pineapple infused something-or-other?” And my answer to that is simple: I LOVE WINGS!!! (also a side note, I hate seafood and that’s all the island is really known for anyway). The chicken was lightly breaded and slightly tender though the meat was pretty cold. Actually, really cold like it had been sitting for a bit while my wife’s food was probably cooking. The Mango BBQ was very sticky and sweet with a strong BBQ honey flavor… and I’m also assuming it contained mango, even though I couldn’t taste any. But the good thing was, the mess which is normally associated with eating sticky wings wasn’t as disastrous this time around. It didn’t even tear up a napkin like I have had happen so many times before which typically leaves me with paper mache looking finger tips and red face of frustration. The chicken was the same great size as its counterpart because it was made from the same batch, however the sauce was super tangy and turned out to be a good complement to the spicy wings. My advice is to go tandem with the duo. One spicy, one sweet. These may not be the best wings you will find in your life, but when you are away from the mainland they will be the best wings that you will find on the island of Kauai… or at least the Northern Shore. Something about the combination of hot and sweet wings on one plate just made this dish spectacular. Oh and one more note: Get there for happy hour prices and enjoy the savings from the normal Hawaiian inflation. You will also beat the crowd and avoid waiting forever if you didn’t make a reservation.